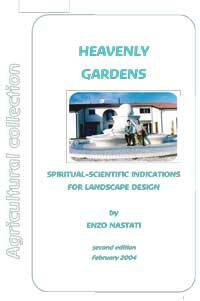 Spiritual-Scientific principles for landscape design from Enzo Nastati. This work only begins to touch on the main points of the art of designing gardens that retain openness to the subtle dimensions above: the etheric, the soul and spirit. Following the principles and example described here one can design gardens for healing, others for study and others for different temperaments.